All of the Official Awana Grand Prix markings remain. They are slightly lighter (each wheel is 1.6g) for a fast start and lightning fast down the track. The hub is coned and the end squared, reducing friction when the wheel hits the car body. Important: Awana Speed Wheels are delicate, due to the spoke design. Do not pull the wheels after they are inserted as the spokes could break. If you must remove the wheel (not recommended) use a flat blade screwdriver and gently apply pressure under the wheel hub. 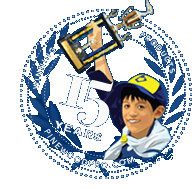 What is the difference between Awana and Cub Scout Pinewood Derby? (7"x1 3/4" x 1 1/4") as the Cub Scout pinewood derby block. This means that any of our pre-cut car blocks and car design plans will work for Awana Grand Prix cars. the dimensions are almost exactly the same. We suggest our machined axles (PRO Super Speed and Speed Axles) as opposed to the BSA axles. Be sure to read your rules carefully to be sure substitute axles are allowed in your race. Awana Grand Prix Wheels are the same diameter and the wheel bore (where the axle goes) is exactly the same as Cub Scouts, but the wheel design is totally different. Therefor, Awana racers must use Awana wheels. Likewise, Cub Scouts must use Cub Scout (BSA) wheels. our polished, nickel plated PRO Super Speed Axles fit perfectly in Awana Wheels. For the ultimate axle, look at our new graphite coated Pro Super Speed Axles. apply to the Awana Grand Prix derby. The Awana Grand Prix race was last night. My son took 1st, my daughter took 2nd, and a friend of ours son took 3rd. All three cars had your wheels and axles. Everyone asked how we did it 2 years in a row. I stated it's all in the wheels, axles, and in the weight. I'll send the photos via email along with the testimony. Thanks for the great work you do with those Awana SPEED wheels! Here is a picture of my ten year old son's car. It won 1st for design in the boys division of our church's First Bible Baptist Church Awana Grand Prix. The car is aptly called "THE LOUISVILLE SLUGGER". We would LOVE IT, if you put his car on your website! Thank-you so much for your website! We learned a lot from all the ideas and the great information. 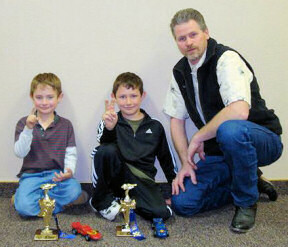 This was our first Pinewood Derby and we had a BLAST!!!! Thanks again! Thank you for the great tips on building a car! You helped make our Awana Club Pinwood Derby an event to remember always! I received my Speed Wheels on Thursday just in time for the Awana derby on Friday. We won 8 out of 9 total races and took first overall in the speed competition!